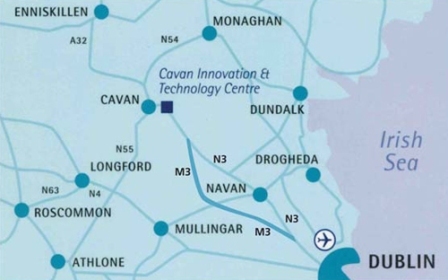 From Dublin City: Proceed north out of city and take M3 straight to Virginia and onwards to Cavan. CITC is on the third exit at the Kilmore Hotel/Quinn Direct Roundabout. From Dublin Airport: Take M1 and take the first exit to M50 Motorway South. Continue on M50 and take Cavan exit onto the N3 Blanchardstown. Continue onwards until you arrive on the M3 Motorway straight to Virginia and onwards to Cavan. CITC is on the third exit at the Kilmore Hotel/Quinn Direct Roundabout. From Belfast City: Take A3 out of the city centre towards Lisburn and onto Lurgan. Follow A3 through Lurgan and on to Portadown, Armagh and on to Monaghan. In Monaghan take N54 Road to Clones and on to Cavan. Follow the Cavan by pass to the end and turn left at the roundabout for Dublin road. CITC is the first exit at the Kilmore Hotel/Quinn Direct Roundabout.